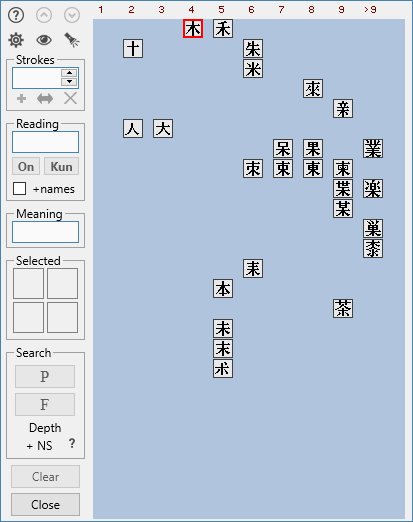 The look-up system used in JiShop provides multi-radical search based on the scrollable table of 634 kanji radicals. Left-click on a radical to select it for search. To make navigation through the table simple and quick, the options of highlighting and compression are provided. Right-click on a radical to highlight radicals relevant to it. Right-click again or press the spacebar to compress. 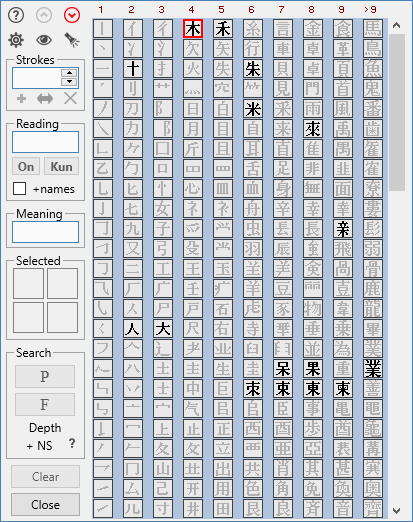 You can search for a kanji by selecting all or some of its radicals from the table. 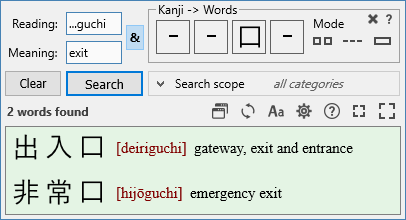 There are two modes of search, and a number of additional settings. 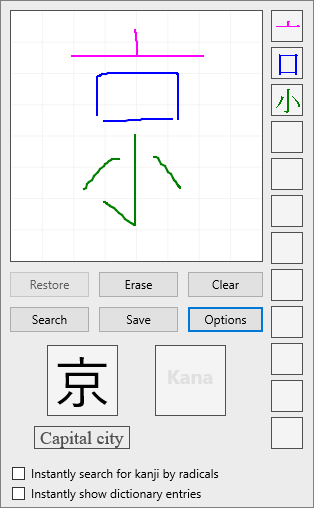 Another way to look up a kanji is drawing it in JiPad written input tool. 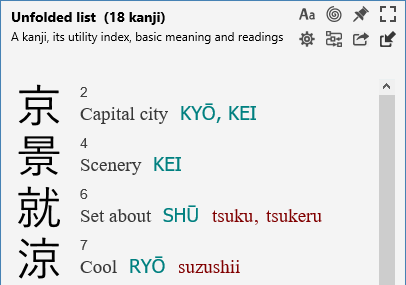 JiShop also contains a phonetic dictionary, i.e. a dictionary of Japanese words. 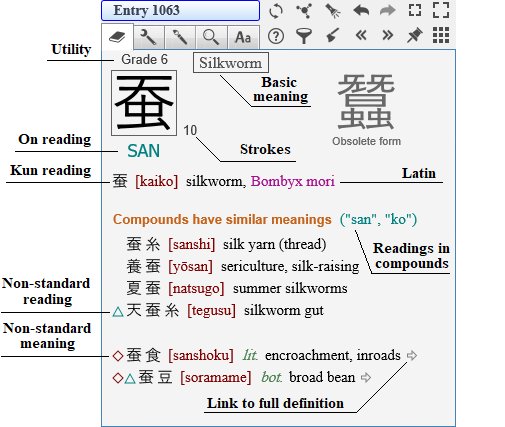 The kanji compounds it stores are used in kanji dictionary entries, to illustrate the usage of characters. The phonetic dictionary can be also used independently to find words by their reading, meaning. 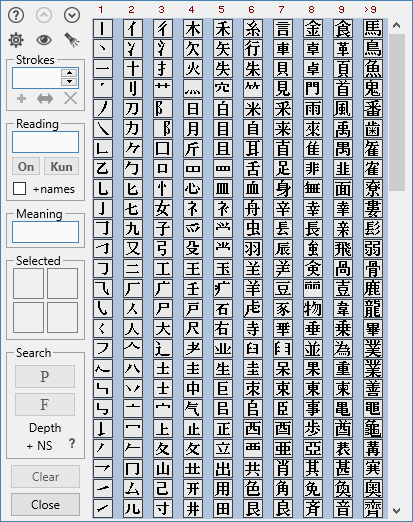 or kanji writing. 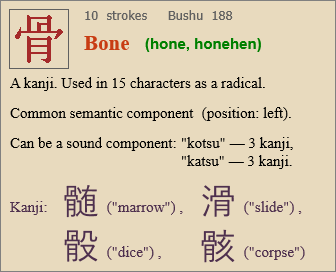 JiShop provides detailed information about each kanji radical. 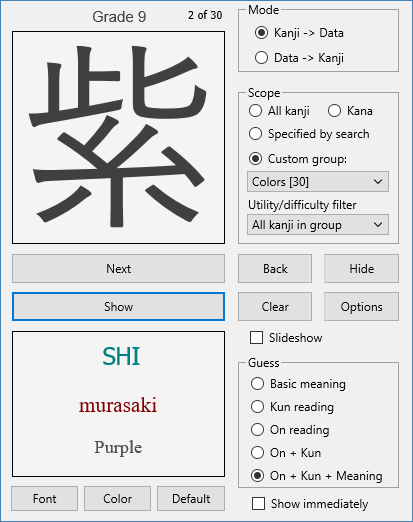 With Kanji drill option, you can check your knowledge of kanji and kana.